What is an Athletic Supporter? Athletic Supporters are those that are athletically involved and supportive of volunteering efforts and conservation causes. While remaining active, these type of people understand that they can provide a better world through helping others and contributing towards education and the protection of the globe. 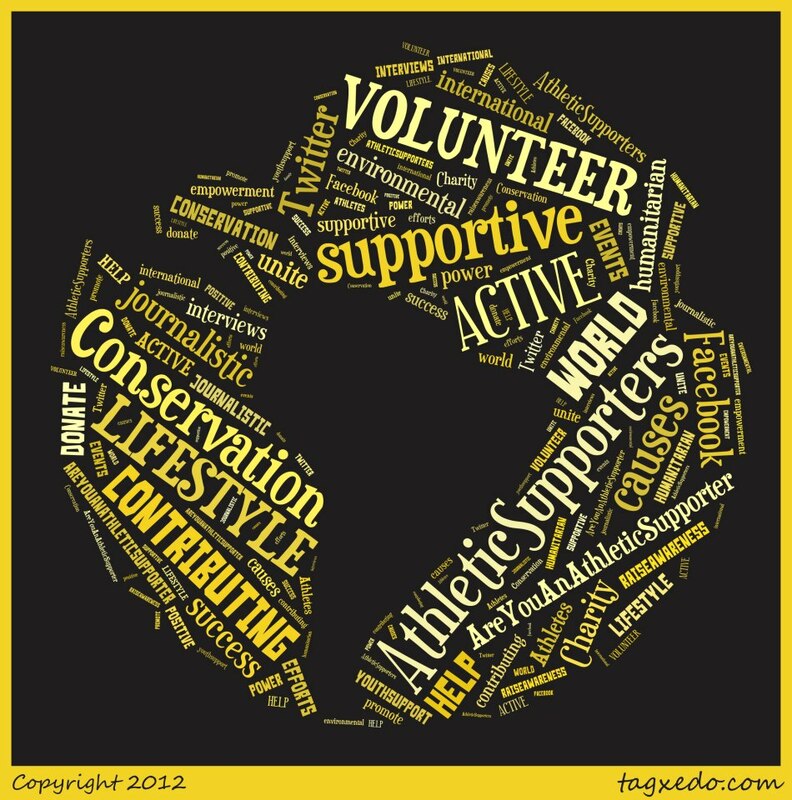 Athletic Supporters plans to establish itself as the ‘athletic gateway towards conservation and volunteering events’…Furthermore, the website will have a journalistic approach as interviews, cover stories and investigative work will be a normal routine to further promote athletics, volunteering efforts and conservation causes. This entry was posted in Athletics, Conservation, Volunteer and tagged 2012, Art, athletics, charity, conservation, culture, Design, events, Journalism, Journalistic, Miscellaneous, News, Volunteer, volunteering on April 24, 2012 by Shay. We are gearing up to hold a 10k in Gwangju, South Korea for a local environmental group. Plans are still being confirmed but we thought we would pass around the information we have at the moment. Sign up for the event and know that your athletic efforts are going towards a great cause! Click HERE for event information and sign-up! This entry was posted in Athletics, Conservation and tagged 10k, 2012, athletics, charity, events, Gwangju, Korea, nature, run, running, Suwon on November 27, 2012 by Shay. This entry was posted in Gear and tagged 2012, Art, Collage, Gear on November 10, 2012 by Shay. Thanks to Rachel A. for the pictures, video, interviews and editing!! Also, thanks to Tyler M. and Nabeela I. for pictures too! AS we already mentioned, the basketball event that helped MDream was a complete success. In celebration, we decided to put together a video recap to show everyone what it was like to be there and all the fun that everyone had. Enjoy the video and know that Athletic Supporters is there to provide future events for causes. This entry was posted in Athletics, Volunteer and tagged 2012, Athletes, Basketball, charity, events, Gwangju, Korea, Video, Volunteer, volunteering, Youtube on November 5, 2012 by Shay. First Athletic Basketball Event a Success! The first athletic charity event was a complete success. The children of MDream benefited from a tremendous amount of support through donations, volunteer work and participation. The event started with a BBQ and a gathering. Tequilaz, a local Mexican style restaurant, donated pulled-pork and coleslaw that was an instant favorite. 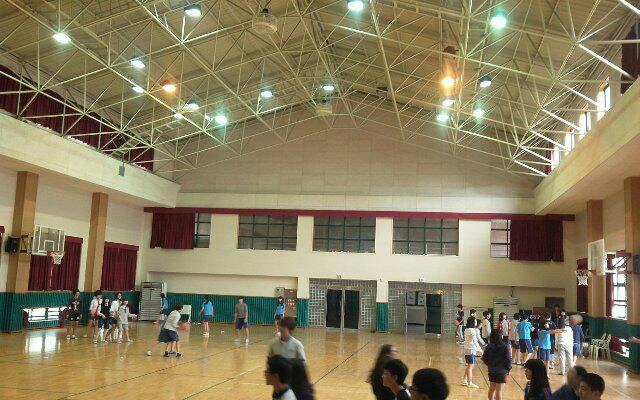 From there, everyone was then invited to participate in the basketball event or cheer on the teams. During the athletic event, those in the stands were treated to cupcakes provided from MDream Confectionery. MDream Confectionery was launched recently by a few high school girls with MDream. They provide cupcakes and baked goods. The event ended with tired athletes and one winning team. This team was given prizes and prize money. Tequilaz also donated gift cards to the 1st, 2nd, and 3rd place winners as well. Included in the winnings were raffle drawings and prizes for best/funniest dressed team. The event was a success and we are excited to continue the success with more events and donations. This entry was posted in Athletics, Volunteer and tagged Athletes, athletics, Basketball, charity, events, Gwangju, Korea, Sports on November 1, 2012 by Shay. Only a week away from Athletic Supporters holding their first event. As I already mentioned, we will be supporting MDream and providing them with an 80% contribution from all money raised. I personally don’t expect the world, but I’m hopeful that we can provide a few more happy days for the kids involved. Anyways, if you can’t make it to Korea and still want to be apart of this, go HERE and DONATE! We would love to have as much support as possible. You can find all the details of the event on this PAGE. This entry was posted in Athletics, Volunteer and tagged Basketball, charity, Donate, events, Gwangju, Hangul, Korea, Korean, Volunteer, volunteering on October 12, 2012 by Shay. A picture of the gym that will hold the first Athletic Supporters volunteer event. We are holding a 3 on 3 basketball event to benefit a Korean orphanage. Proceeds will go to MDream and their continuous effort to help children in need. If you would like to be apart of this (and can’t make the event) please donate and KNOW that 80% will directly benefit Mdream. The remaining will go towards the continuous effort of hosting like events. This entry was posted in Athletics, Volunteer and tagged Basketball, charity, Gwangju, Korea, Korean, Orphanage, Seoul, Volunteer on October 9, 2012 by Shay. Devon Alexander has excelled within the boxing world. He has defeated many opponents and has proved himself to be a force for years to come. Some of his recent accomplishments include being the former WBC and IBF Light Welterweight champion. He currently sports a 23-1 record with his only loss ruled as a technical decision via the 10th round against Timothy Bradley. Devon’s accomplishments are incredible. 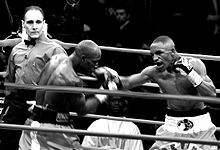 At the young age of 17, Devon entered the professional boxing world through a local gym owned and operated by Kevin Cunningham. He quickly excelled. At first, Devon considered boxing as “just something to do to keep [him] busy after school hours.” He wanted nothing to do with the drugs and violence that surrounded his hometown of North St. Louis. However, as he “became good at it, [he] fell in love with it.” It was his love of boxing, his outlook on life and the work of Cunningham that gave Devon a chance to shine through the grime of downtown St. Louis. Furthermore, Devon also looks forward to coaching and opening up his own Rec center to provide “kids a place to come” and enjoy the same opportunities as he was given. It is this continuous attitude towards accomplishing that gives Devon an advantage in the ring and on the streets. He has proven himself a force to box against and has also shown his fearless desire to help others through volunteering. He has shown to be a respectable figure and someone to look up to. His accomplishments in and out of the ring are incredible. Athletic Supporters appreciates the interview with Devon and hopes to show his humble upbringing as a means for others to do well and stay in the game. This entry was posted in Athletics, Interview, Volunteer and tagged Athletes, Boxing, Devon Alexander, IBF, Interview, St. Louis, volunteering, WBC, Welterweight on October 7, 2012 by Shay. Athletic Supporters creates athletic events to benefit worldwide causes.